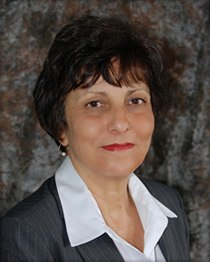 Nancy Mizerak, M.D., J.D. joined KBG Injury Law L.L.P. with the goal of expanding the Social Security Disability practice in the firm. After more than five years in a general practice law firm in Lancaster County which included Social Security, family law, bankruptcy and estates, Nancy has chosen to concentrate her efforts in Social Security Disability cases. Her passion for disability cases is a natural fit with her deep interest in medicine and her experience as a family physician. The practice of law is a second career for Nancy. Her first career was as a solo practitioner in Family Medicine for fifteen years. After graduating from the University of South Florida College of Medicine in 1980, she accepted a residency position at the Lancaster General Hospital Department of Family and Community Medicine. After residency training, she put out her shingle and developed a thriving general practice. In the early 1990’s, Nancy became interested in the law after serving as an expert in several medical malpractices cases. Nancy closed her practice, returned to school and received her J.D. from the Villanova University School of Law in 2001. Nancy now looks forward to employing her extensive and unique experience at KBG Injury Law, L.L.P. representing disabled claimants in their appeals to the Office of Disability Adjudication and Review.